Incorporated in 1898, Tulsa lies in the heart of “Green Country”, a fertile forested region of rolling hills in northeastern Oklahoma. Straddling Tulsa, Osage and Rogers counties, Tulsa is the second largest city in the state, located 90 miles northeast of the state capital, Oklahoma City. Tulsa boasts of low unemployment, with an economy based on telecommunications, manufacturing, aerospace, transportation and energy. Tulsa is home to nationally recognized cultural activities with four museums, including the Thomas Gilcrease Institute of American History and Art, which houses the world’s largest collection of Thomas Moran’s work, and various music and dance companies, including the internationally known Tulsa Opera. Tulsa also boasts of a deep water port located on the McClellan-Kerr Arkansas River Navigation System, offering a Foreign Trade Zone, two industrial parks and liquid and dry cargo storage. 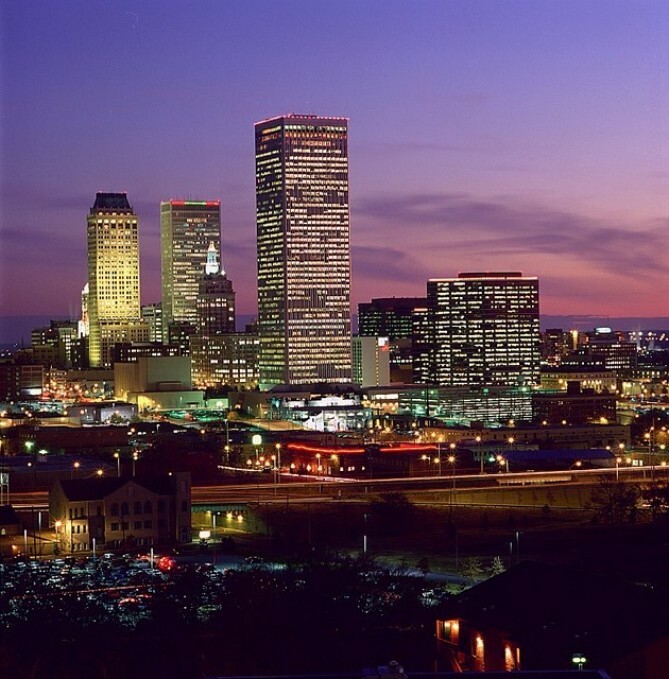 Tulsa International Airport offers direct service to most major cities in the United States. Tulsa ranked #1 best place to live 2009. Ranked #5 2008.